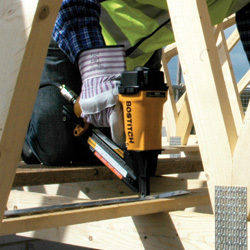 The award winning StrapShot™ MCN150-E is the most advanced pneumatic positive placement nailer on the market. 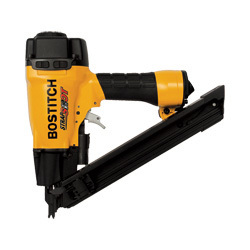 The compact StrapShot™ is designed to work where other nailers can’t, allowing access to even the tightest corners, and the innovative exposed-tip design positions the fastener directly into the connector plate’s holes for faster and more accurate positioning than ever before. As well as being compact, the tool is also incredibly lightweight and simple to use and maintain.